Things get busy and things slip our minds, especially when we have careers and are parents. Everyone else’s needs are met but what about YOUR needs? This is part of self care too. As 2018 comes in and we are preparing to take better care of our nutrition and health, booking check ups is part of that reassurance that we are doing our best to keep our health a priority. What are the most important health appointments to book? Your yearly physical. This is an important base line for our health. As we age more blood tests and bone scans may be added to ensure we are in our best health. Without this base line, if we ever find ourselves feeling under the weather it’s harder to pinpoint when an illness may have started or the best course of treatment. A yearly eye exam. This becomes especially important for those of us that spend the majority of our time in front of a computer screen. We my have eye strain, and this can lead to head aches and eye discomfort if not addressed. A dental check up. Your mouth is the beginning of your digestive tract. Dental issues have been linked to some major chronic diseases. Taking care of your teeth is a sign of you taking care of your health. Chiropractic Appointments. Staying in alignment can ensure your muscles and organs are in alignment as well. When your body is aligned everything works better. Going to a chiropractor may be needed as few times as twice a year or as many as monthly to bi-weekly. That depends on your personal needs and preferences. I recommend you make an initial appointment and visit as often as you feel necessary because only you know your body’s needs. Massage Appointments. This is important part of self care. It can be used as stress relief but also as a muscle release to move and feel your best. If its covered by your health care or if you truly need to release some stress I highly recommend taking advantage of a monthly or bi-monthly massage. Once your appointments are booked for yourself for the year you don’t have to think about it again. You should feel proud that you have taken another step to making your health a priority for 2018 and you can move on with life knowing you are covered for a year of health appointments. Do you think you will be able to take time today or in the near future to set up your health appointments for the year? 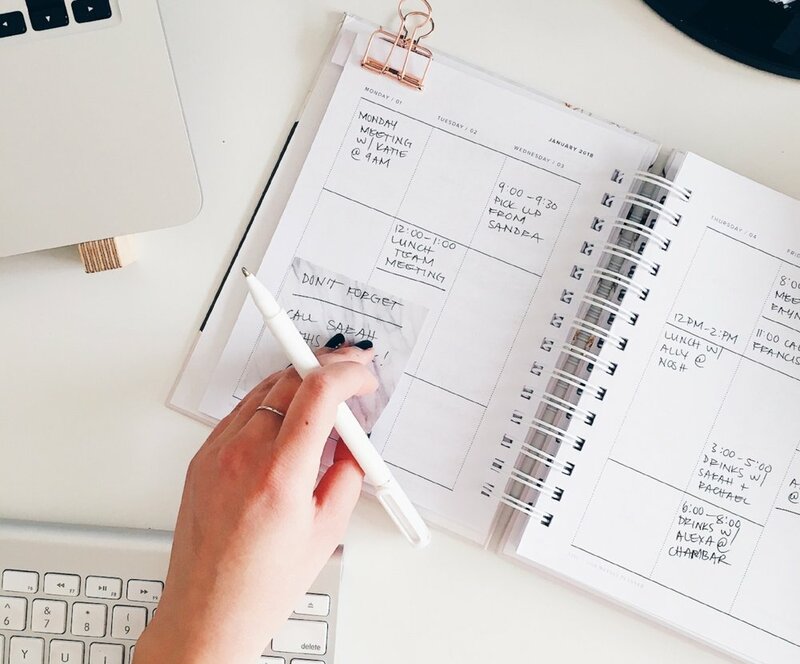 Do you like the idea of getting this task off your list of to-do’s and not having to remember in the future to book more appointments? Remember that you can always ask for the cancellation policy and be sure to write that in your day timer as well. Two more days of the Holiday Health Challenge! I will announce the winner on January 1st in the No Shoes Nutrition January Newsletter. If you have not signed up to receive the newsletter and would like to, please go to www.noshoesnutrition.com and sign up on the home page! Thanks!! Have a great Friday night! !